Luke Halpin teaches Flipper to become dependent on humans. Question: Who would win in an epic battle between Flipper the dolphin and two bloodthirsty sharks? If you’ve seen the 1963 adventure flick Flipper, you know the answer to this question. 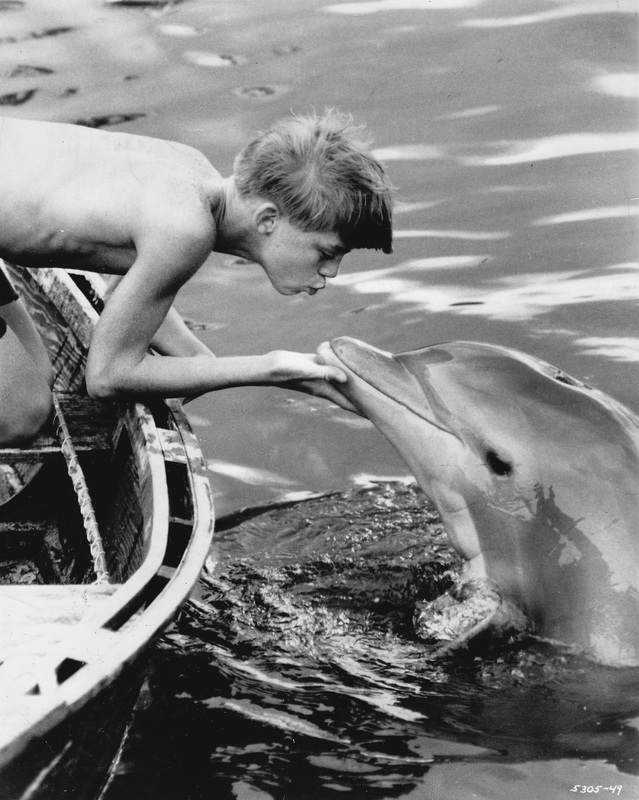 Flipper is the story of a boy (Luke Halpin) who befriends a friendly, smart dolphin. This dolphin is so smart, in fact, it can hear and understand conversations taking place above the water. Not only that, this thing can read Halpin’s mind. Oh dear. We don’t mean to make this sound creepy. The boy’s fisherman father (Chuck Connors) disapproves of Flipper the dolphin. It’s nothing personal; he disapproves of all dolphins. He tells Halpin that dolphins eat up the fish stocks and wreck fishermen’s nets. But Halpin doesn’t care what the old man says; he and Flipper have a special bond, and trouble ensues when he defies his father’s wishes. This movie rates pretty high on our Cheese Scale, but there are enough interesting scenes to entice you to stay until the end. For example, the ocean is beautiful, even though the footage is 40 years old. We were also absorbed in the opening scenes of the movie as townsfolk scramble to prepare for a looming hurricane. Now, we realize that you may have seen the controversial 2009 documentary, The Cove; in which case, you’ll find Flipper a tough watch. We ourselves viewed the movie with a jaundiced eye, carefully studying Flipper (real name: Mitzi) for signs of stress-related illnesses. Halpin has an impressive fly-away bang hairdo that can withstand both wind and rain. Kathleen Maguire, who plays Halpin’s mother, looks unfailingly fresh in her sensible, ironed 60’s dresses. Connors has an intense listening method: He always leans forward on his right leg to show that he’s Deeply Interested in what The Other Actor Is Saying. Get this! MGM felt audiences didn’t get enough Flipper in one movie, so they made a sequel in 1964 (Flipper’s New Adventure) which is so awful we’ll pretend it never happened. Should you make the effort to watch Flipper? If you’re an eight year-old girl, yes. But be warned: if you do watch this movie, the inane theme song will stick in your head for weeks. Flipper: starring Chuck Connors, Luke Halpin, Kathleen Maguire. 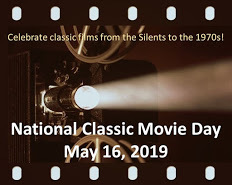 Directed by James B. Clark. Written by Arthur Weiss. Metro-Goldwyn-Mayer, 1963, Colour, 90 mins. Next Lee J. Cobb: What a Character! It IS madness. MGM owes us all an apology for starting it in the first place. Oddly enough I have never seen any of the Flipper movies or TV shows. From the sounds of things I am not missing out on much, but I do have a son that has always had a abundance of love for animals. Just a couple of days ago he started reading about dolphins and asking all kinds of questions. I suppose I am going to have to allow him to see Flipper all though I don’t think I will mention the sequels! Thanks for the review, you have been quite helpful. Your son might really like this movie. After all, it is about a boy having adventures with a dolphin. But please spare yourself the agony of the 1964 sequel. Where’s the trailer? I want to see Luke Halpin’s hair in action! It is impressive hair. Which is what you need for an adventure flick. Absolutely. Otherwise, the film has to hope audiences warm up to a bald dolphin. HAHA! I love schlocky acting. Hee hee! Yes, there’s lots of that in this movie. Actually, I always had a soft spot for FLIPPER, though I favored the light approach taken with the sequel. And, yes, I even watched the TV series for a couple of years (Halpin was getting older so Tommy Norden was the focus as his younger brother). Flipper was always played by a girl, just like Lassie (the TV Flipper was named Suzie…I remember that from a 1960s TV Guide article). Still, FLIPPER is a kids’ movie; George C. Scott talked with dolphins in the serious DAY OF THE DOLPHIN! I think kids today still really like Flipper. Oh dear, I forgot about “Day of the Dolphin”. But it was nominated for a couple of Oscars, was it not? In any case, your post was a delight to read, as always! Your reviews make me smile. Thanks for brightening my day! Ha ! Thanks for dropping by. 🙂 And special thanks for posting about your fab food. I haven’t been by your blog lately, but I hope to set aside blog-reading time soon.